The plates are shipped to the pipe plant by ship, railway or truck; off-loaded by crane and stored in the storage area. On receipt the plates are categorized, visually inspected and compared to certificates. From the storage area the plates are transported with vacuum or magnetic lifter to the Plate Destacking and Edge Preparation Area. From the de-stacking area the plates are lifted by crane with vacuum traverse onto the in-feed conveyor of the Edge Milling Machine. Before the Edge Milling the plates are cleaned on the shot-blasting machine. The pre-cleaning process prevents ingress of loose scale, rust and dirt like sand and dust into the working area. 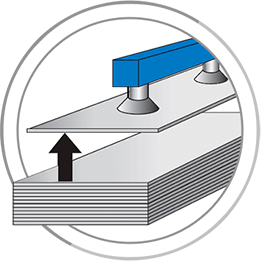 On the Edge Milling machine the two longitudinal seam edges are chamfered for the proper weld preparation and the required width of plates. 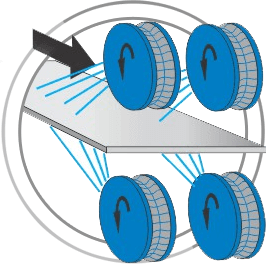 The plate is formed into a cylinder on the 3-Roll Bending machine (Pyramid Roll) with pre-loaded top roll in 3–4 passes. 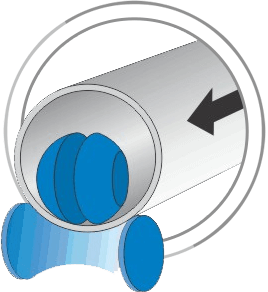 Hydraulically operated 3-roll bending process provides capabilities for producing of wide range of pipe sizes including non-standard ones. 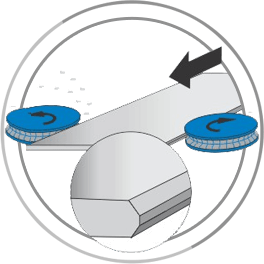 The quick size change capabilities appear to be the advantage against any other press forming processes. 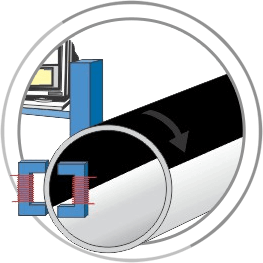 The remaining flat ends get formed to a proper diameter on the Edge Bending machine with roll / die process. The finished pipe shell is transferred to the LSAW (Longitudinal Submerged Arc Welding). 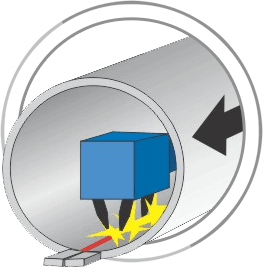 The first stage is Continuous Tack Welding – single wire arc welding in an atmosphere of shielding gas, with continuous bead applied from the outside of the pipe into the welding groove. 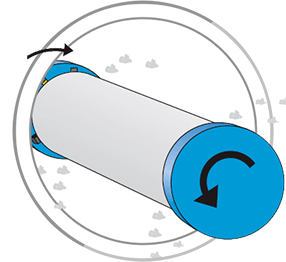 During this process the pipe shell is hydraulically closed at the gap and the edges are leveled by height. Visual inspection of the tack weld is performed along with the automatic recording of the tack welding parameters and the edge offset. Before the final internal / external welding the End Tabs are manually welded at both pipe ends. 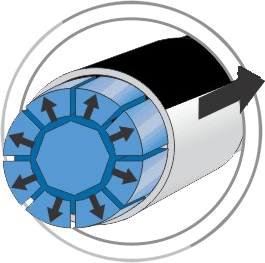 The end tabs are used to stabilize the welding operation from end to end of the pipe. In the same station the tack-welding is visually inspected and repaired if necessary. Internal Welding is applied on 4-Wire LSAW (Longitudinal submerged arc welding) Process. 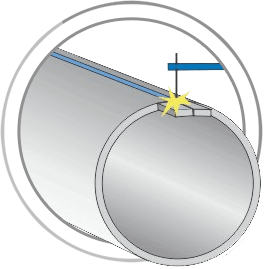 The weld is continuous, running from tab-to-tab, and penetrated into the previously applied tack welding seam. 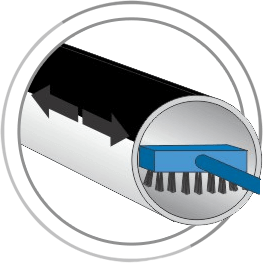 Internal Cleaning of pipes is done with rotating brush combined with vacuuming system in order to avoid any interference after the internal LSAW process with remaining scale or dirt. External Welding is accomplished on 5-Wire LSAW (Longitudinal submerged arc welding) Process. It consumes all the tack welding and penetrates into the internal welding seam. 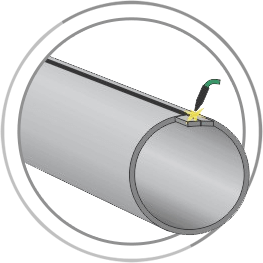 The result is an unique interlocking with strength not less than the rest of the pipe material. Removal of tabs and Internal and External Weld visual inspection finalize this stage. 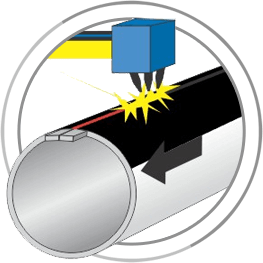 The full length of the welding seam of each pipe is inspected for defects at any orientation on the first Ultrasonic Testing Station before the expanding process. 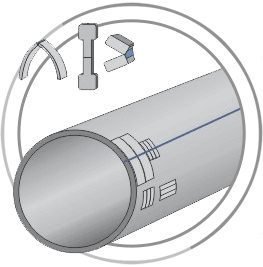 Pipes with defects are diverted to Real Time X-Ray Station for defects investigation. The defects are manually repaired and afterwards once more inspected on Real Time X-Ray Station. Pre-washing is the first step in the expanding process. 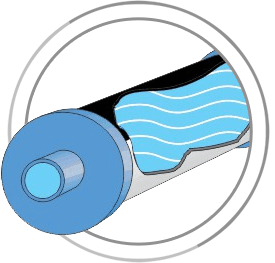 The purpose of this process is to ensure that all remaining loosen particles get removed out of pipes for protection of the expanding tools and pipe inner surface is moistened before the expanding process. 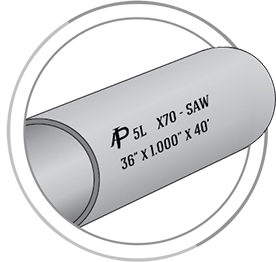 In the Mechanical Expander pipes are sized to tighter tolerances on diameter and are straightened in longitudinal direction according to the standards. The expanding process also increases the material yield point on 5–8%. 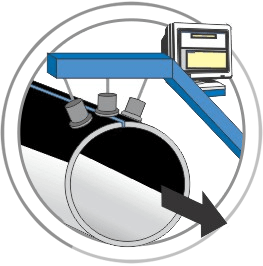 The remaining expander lubrication oil from the internal pipe surface is removed on the Postwashing Station with high-pressure water immediately after the sizing process. Then pipes are sent to the Interior and exterior weld-reinforcement removal station. 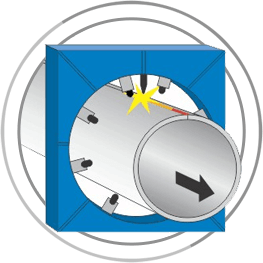 Pipe End Beveling station is intended for end facing on both ends of pipes simultaneously, assuring excellent squareness and form of bevels. Hydrostatic Testing station is intended for filling pipes with water and pressuring to levels required by standards. 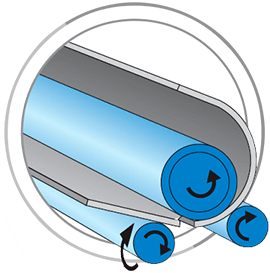 Pipes shall pass the hydrostatic test without leakage throughout the length under the pressure specified in the standards. 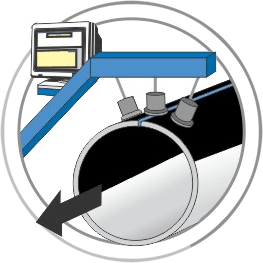 After hydro testing follows the second Ultrasonic Testing Station for inspection of the full length of the welding seam as well as circumferential defects at both pipe ends. After the second Ultrasonic Station and before the X-Ray specimens are taken for the mechanical tests. 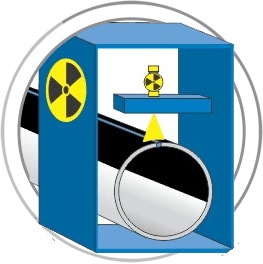 X-ray testing of pipe ends renders possible to test the quality of the whole length of welding seam and also the distance of 8” from each pipe end. For compliance with special standards the additional NDT-test station – Magnetic Particle Inspection – is located after X-Ray II. 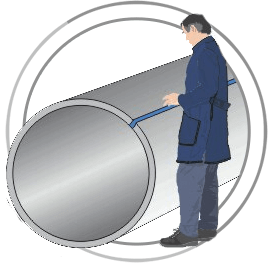 After all the tests the length and weight of each pipe are automatically measured. These data is transmitted to the marking station.